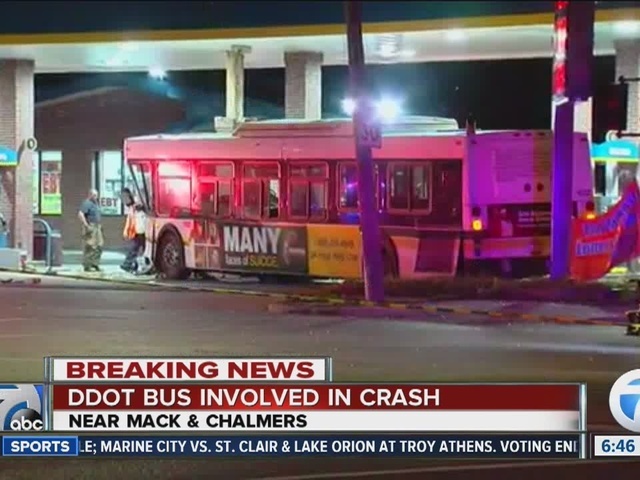 Police are investigating after a serious crash involving a DDOT bus on the city's east side. The accident happened at Mack and Chalmers early Wednesday morning. Police say the bus and a vehicle collided near the intersection and ended up crashing into a nearby Valero gas station pump. The car was flattened and pinned underneath the front end of the bus. Firefighters had to use the jaws of life to rescue a man from inside the car. Police say the man who is in his 20s is currently at the hospital and listed in temporary serious condition. 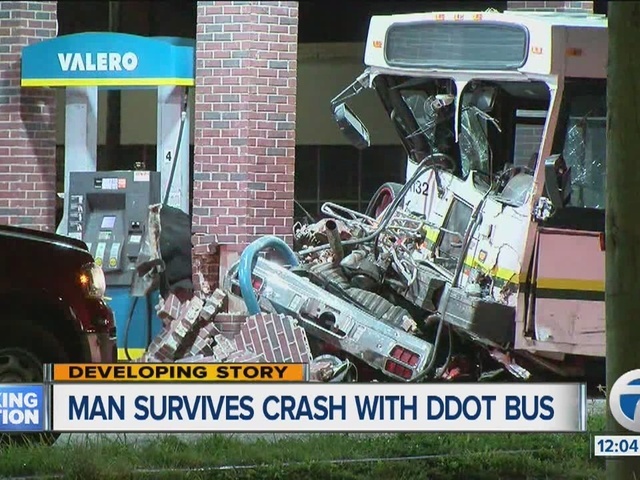 Investigators on scene tell 7 Action News several passengers on the bus along with the driver are expected to be OK.
Stay with wxyz.com for updates.